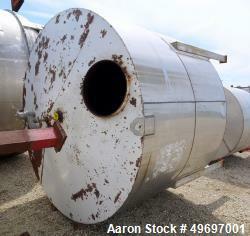 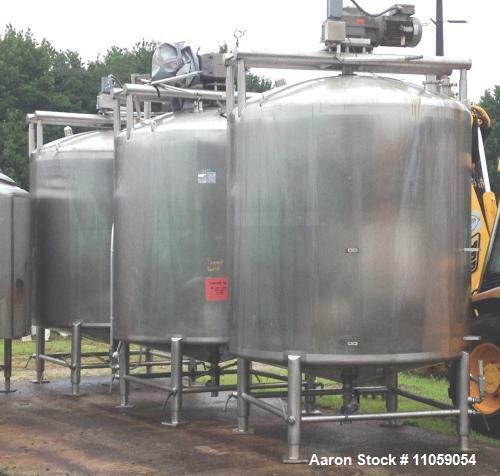 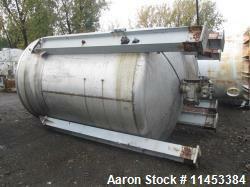 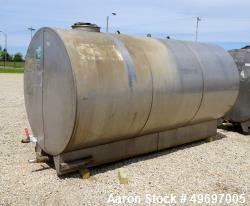 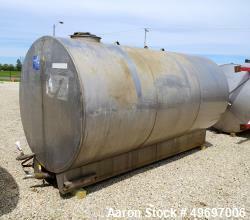 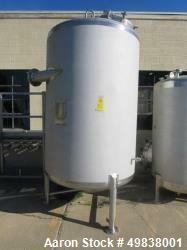 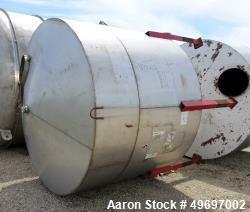 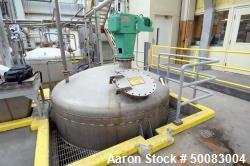 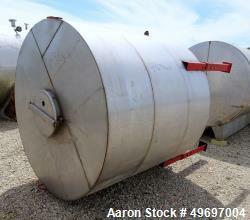 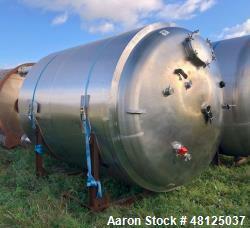 Used- 2000 Gallon APV Sanitary Construction Sweep Agitated Mix Tank. 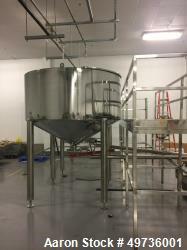 Constructed of 316L stainless steel. 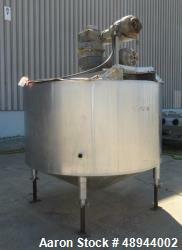 Agitator drive is a 5/2.5 hp, 870/1750 rpm, 3/60/460V drive. 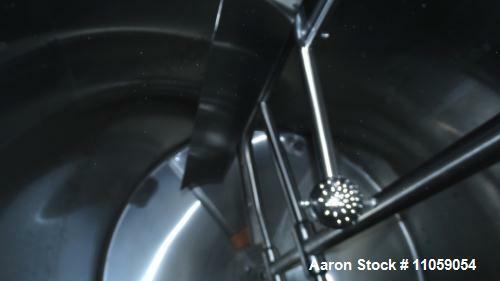 SEW Euro gear with 96.8:1 ratio, 870/1750 rpm in and 18/9 rpm output. 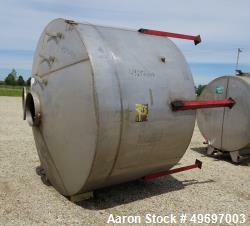 Dish top, cone bottom, mounted on legs. 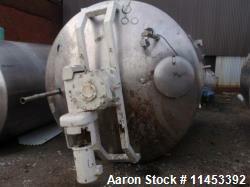 Internal spray ball for CIP. 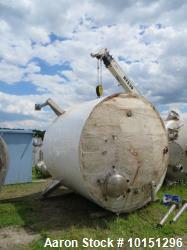 Approximately 12'6" overall height.